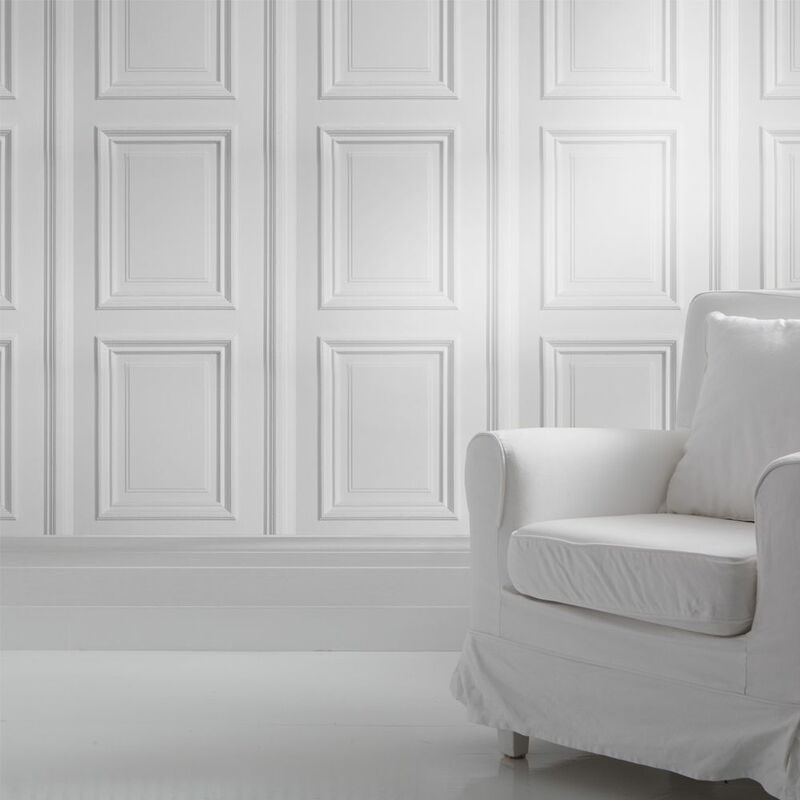 The White Panelling wallpaper is inspired by georgian architectural details and features white decorative panels for a classy and classic look. It can be used to create a bright elegant feel reminicent of stately homes, georgian conservatories and posh hotels! Perfect for feature walls or a whole room.